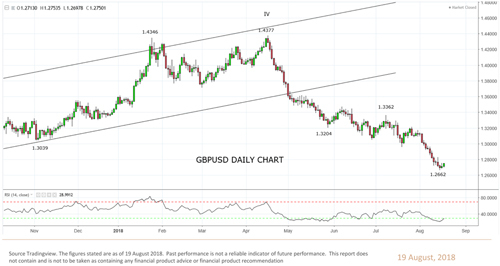 GBPUSD has resumed its medium-term downtrend, says Tony Sycamore, Director of Australia-based TECHFX TRADERS. Sycamore, an Elliott Wave specialist, says that a bearish Wave V has begun and GBPUSD will likely target parity or even below in the medium-term (see Monthly Chart). In the shorter-term, Sycamore says the signals are less clear. 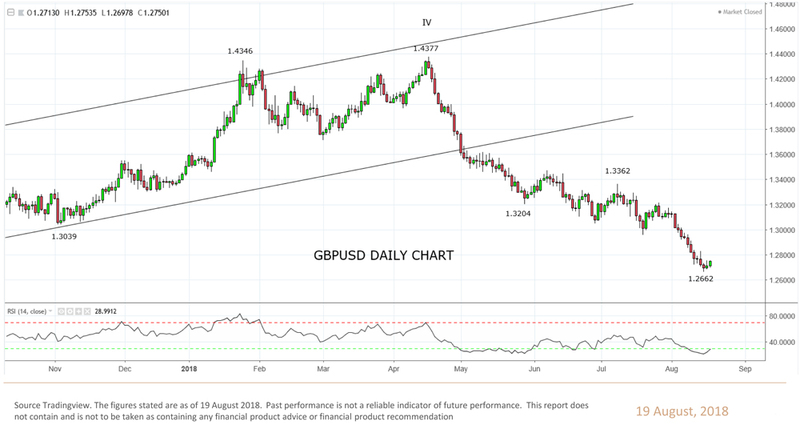 After the decline from 1.4377, GBPUSD has reached a cluster of supports in the 1.25 to 1.27 region and Elliott Wave analysis is providing little guidance. As such, he remains sidelined waiting for a corrective bounce rather than participating at current levels (see Daily Chart). 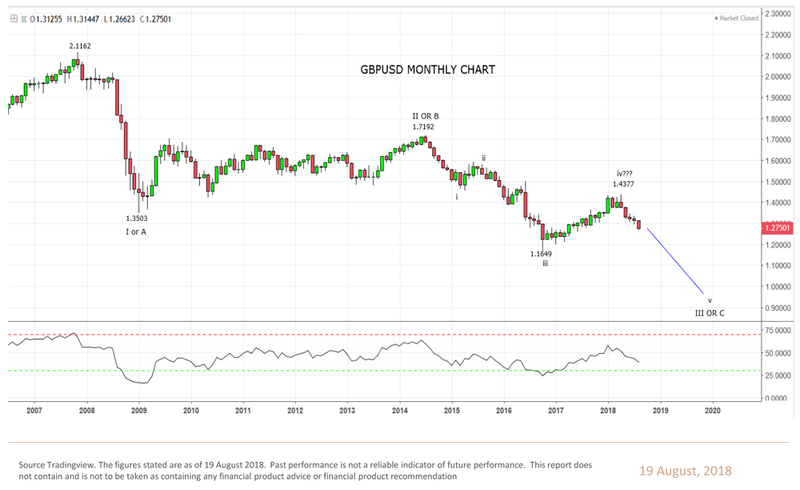 See Monthly Chart / Daily Chart.